At ADAC Rallye Deutschland ŠKODA Motorsport crew Pontus Tidemand / Jonas Andersson took the first match point to prematurely win the World Rally Championship (WRC2). Teammates Jan Kopecký / Pavel Dresler, delayed by a puncture on the second day of the rally, finished a strong second. With this result ŠKODA Motorsport also secured the WRC2 Team Championship three rallies before the end of the season. ŠKODA Motorsport crews Jan Kopecký / Pavel Dresler and Pontus Tidemand / Jonas Andersson lost their double lead on the second day of ADAC Rallye Deutschland. 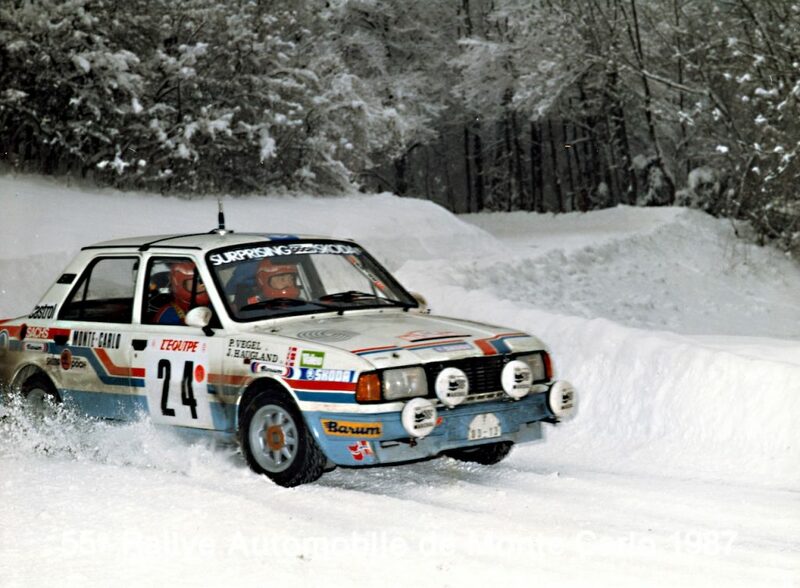 After both suffered punctures on the longest stage of the rally, the notorious Panzerplatte, Jan Kopecký dropped from the lead to second position at the end of the day. Meanwhile, Pontus Tidemand is holding third place and still is in the best position to prematurely win the World Rally Championship in WRC2. 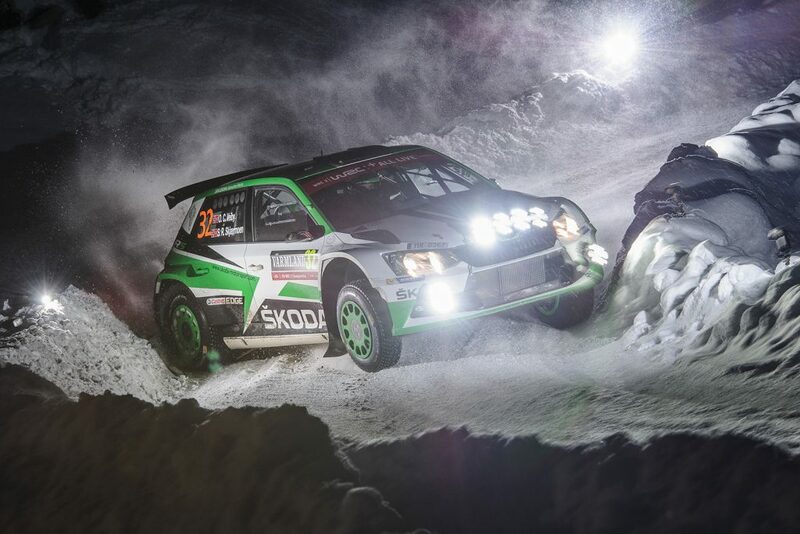 At the same time, ŠKODA Motorsport can secure the WRC2 Team Championship. ŠKODA Motorsport crews Jan Kopecký / Pavel Dresler and Pontus Tidemand / Jonas Andersson are holding a double lead after the opening day of ADAC Rallye Deutschland. 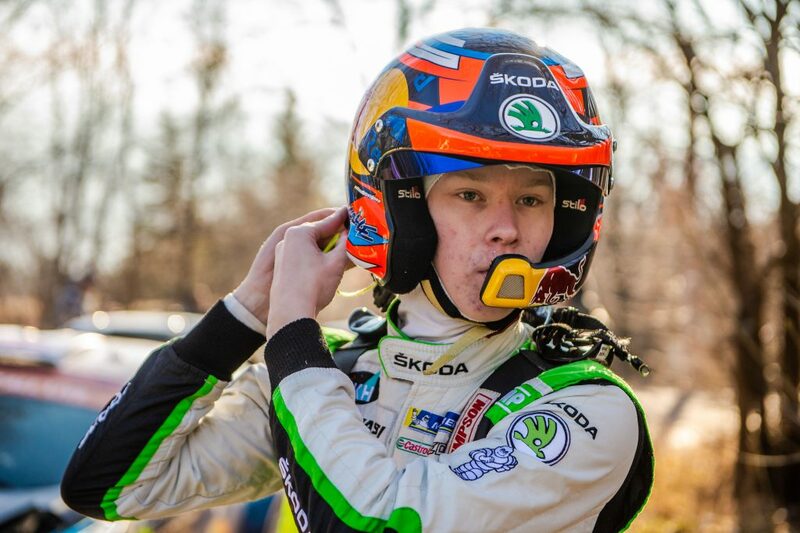 Already on Thursday evening on the opening street stage in Saarbrücken Czech Rally Champion Kopecký wrote history: After the ŠKODA FABIA R5 driver won the first stage, for the first time ever a WRC2 car took the overall lead of a World Championship rally. During Friday Kopecký defended his lead in the WRC2 category with 5.8 seconds ahead of teammate Pontus Tidemand. If the result is the same at the finish on Sunday, ŠKODA Motorsport’s Swede would prematurely secure his World Champion title in WRC2. ŠKODA Motorsport crews Pontus Tidemand / Jonas Andersson and Jan Kopecký / Pavel Dresler are among the top favourites for WRC2 victory at the upcoming ADAC Rallye Deutschland (17–20/08/2017). If one of its factory drivers finishes at least fifth ŠKODA Motorsport is the prematurely winner of the FIA Team Championship in WRC2. In addition, Pontus Tidemand has match point for the WRC2 driver’s title. He has to score fourth or higher, at the same time main rival Teemu Suninen must not win the category. Rallye Deutschland (17th to 20th August), the round 10 of the 2017 FIA World Rally Championship (WRC), sees the teams heading to Bostalsee resort in the west Germany for one of the most challenging and the most difficult asphalt events of the season.